Have you ever thought about making Cartoon Sketch of yourself ? Cartoon Sketch is really Fun and makes you smile. You can also change your digital photo into an interesting Cartoon character and use those cartoons in the Social profiles like Facebook etc..
Like the old days, you don’t have to draw a cartoon, now use the Photo editing software to convert photos into Cartoon. Though, learning the complicated photo editing software like Photoshop is headache for many people and non techies. But I’ve found the solution for you to convert photos into Cartoon Sketch using a free tool “XnSketch”. This is such powerful utility to turn your Photos images into cartoon Sketch style. 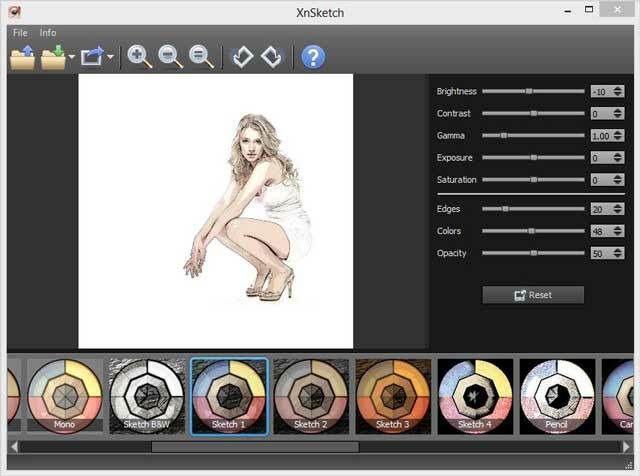 XnSketch is a small portable application that allows you to turn your photos into cartoon or sketch images. 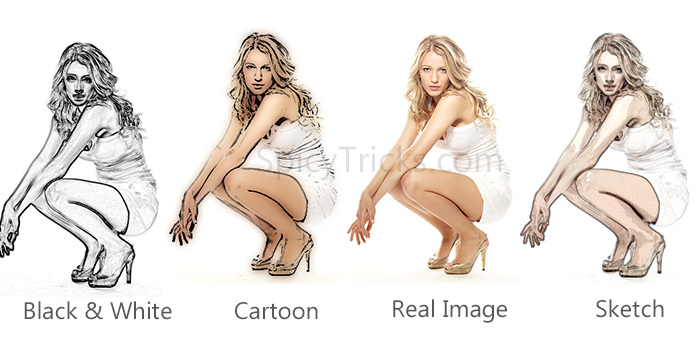 This cartoon maker also offers fascinating different image effects with 20 image styles. Since this application user interface is very simple, anyone can use this to covert their photos to cartoons and professional sketch images. The result of the image effects is simply outstanding and realistic. I have reviewed this software with the following image, you can see the converted image result of this software below. Open your image using the open option in file menus or simply drag and drop the photo in the App Window. There are 20 image filters and styles in the Application Window. Just click to apply those effects in the image and covert your images to any interesting styles like Cartoon , black & white, Neon, Different Sketches, Oil Painting, Hatching, Pencil drawing,Stamp and Photocopy. Then save the image in your computer or you can store the converted images directly into the Facebook, Flickr, Picasa and other photo storing sites. That’s it, If you have many photos, change it to any interesting photo and share with your friends using this XnSketch!